Paraguay’s President Horacio Cartes has announced that he will not run for re-election next year, regardless of whether Congress passes an amendment to allow leaders to stand for a second term. In a letter to the Archbishop of Ascunsion posted on social media, the former soft-drink and tobacco executive said that his decision was inspired by Pope Francis’s call for peace and dialogue in Paraguay. 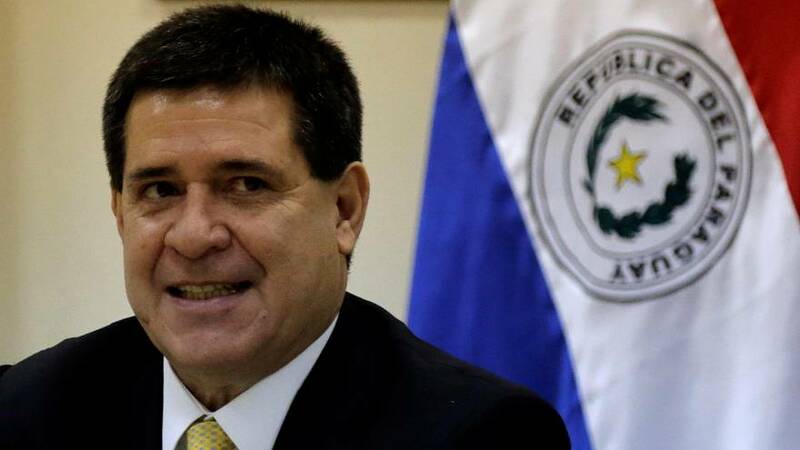 In the letter, Cartes said he hoped the gesture would “deepen the dialogue aimed at the institutional strengthening of the Republic” and promote “harmonious coexistence among the Paraguayans”. Chaos erupted across the country after the senate voted in secret to allow Cartes to be a candidate in next year’s general election, despite laws against second presidential terms being introduced in 1992 after the fall of brutal dictator Alfredo Stroessner – who was president of the country from 1954 until 1989 when he was ousted after a military coup. Days of violence and vandalism during which demonstrators set fire to congress in March and one protester was died at the hands of police, followed the clandestine vote. The amendment to allow second terms has not yet been passed, although it had been proposed as a measure to preserve stability in the South American nation. Cartes, who claimed he never voted in an election until he cast a ballot for himself in 2013, was elected to a five-year term that year. Without him in the running for next year’s election, there are few clear candidates for the presidency. Paraguayans are fiercely opposed to any sign of leaders trying to retain power. The landlocked nation of 6.8 million is the world’s fourth largest producer of soy, but is one of South America’s poorest countries. While Cartes’ low tax policies are attractive to investors, who credit the president with spurring one of the fastest growing economies in Latin America, business groups urged the leader not to seek a second term in order to avoid further unrest.